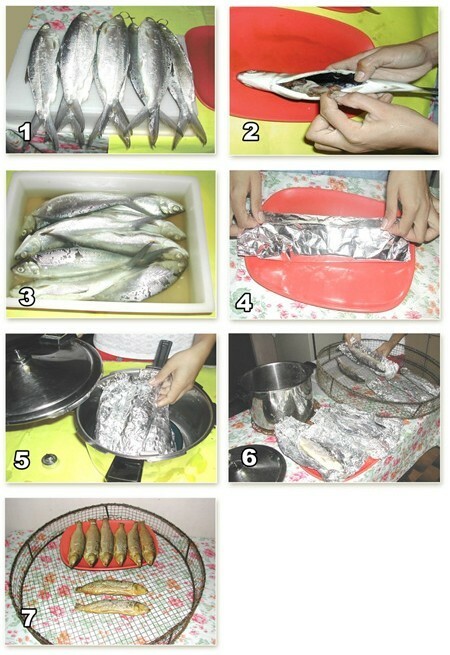 Prepare small bangus for processing. Clean fish, remove grills, viscera and false kidney. Wash thoroughly. Drain and wrap with aluminum foil. 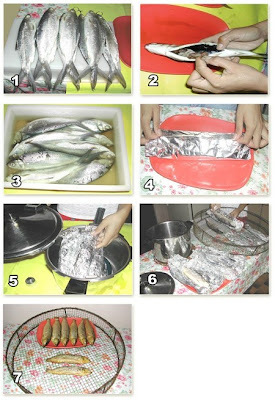 Arrange bangus in pressure cooker. Pressure cook at 10 lbs. pressure for 90, 120 and 150 minutes for small, medium and large milkfish respectively. Remove aluminum foil and arrange in smoking trays. Smoke for 30 minutes until golden brown. Allow to cool. Then pack in boxes. Refrigerate if longer storage is needed.